Seasoned Mexican pork chops recipe topped with a tasty (chile) chili verde sauce cooks in one pan in minutes. Serve with Mexican green beans and a cheesy cauliflower mash for the ultimate low carb Mexican food meal! I recently visited my brother and his family in Texas. There’s a Mexican grocery near his house which he swears has the best meat in town, for the best prices. One of his favorite purchases is Mexican style pork chops or chuletas de puerco (chuletas de cerdo). The Mexican pork chops are thinly sliced bone-in pork chops that cook up in minutes. He fries them in a pan and claims they taste like bacon (I think they taste like pork chops). 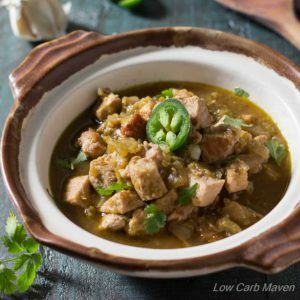 Unless you’re from New Mexico, you may not be familiar with chile verde which is a stew made from roasted green peppers (specifically Hatch green chiles) and pork. It’s a bit thinner in consistency than the typical stew and often ladled over other dishes as a condiment. 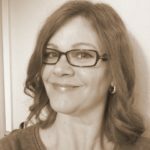 I love it served in a bowl and topped with an egg, ladled over chicken enchiladas or served in a tortilla as a soft taco. It’s delicious. 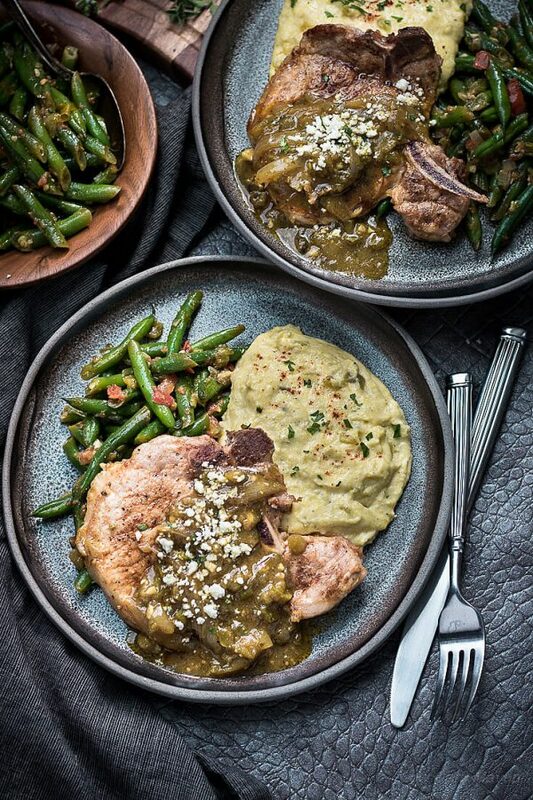 This Mexican pork chops recipe is a version of chile verde. Instead of stewing the pork with the green chile peppers, I cooked the pork chops in a pan and then made a quick chile verde sauce to spoon over the pork chops. I found thin-cut, bone-in pork chops at my grocery store but substitute boneless pork chops if you’d prefer. Just make sure to pound them to ½ inch thickness so they cook quickly. I suggest to butterfly them before pounding. 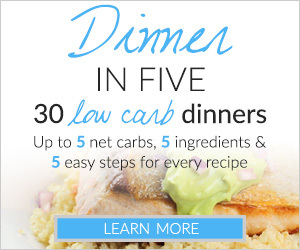 If you haven’t noticed, this is a low carb recipe. Yes, you can have low carb Mexican food while watching your carbs. I stick with more traditional Mexican recipes that don’t require tortillas or rice, but you can always find substitutes for your favorite things. 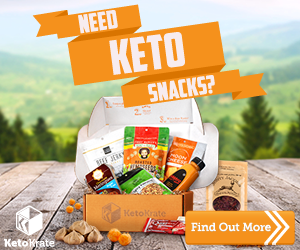 I often use low carb tortillas for soft tacos and cauliflower rice in place of Mexican rice. This time I made a meal of chile verde pork chops, Mexican green beans and cheesy cauliflower mash. It was delicious. I’m sure you’ll love it, too. For an interesting shrimp chile verde recipe check out this great appetizer on Beauty and the Foodie. 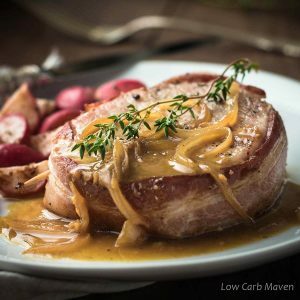 Mexican Pork Chops Recipe with (Chile) Chili Verde Sauce is 3 net carbs per serving. 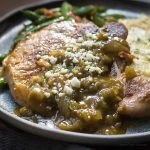 Seasoned Mexican pork chop recipe topped with a tasty (chile) chili verde sauce cooks in one pan in minutes. 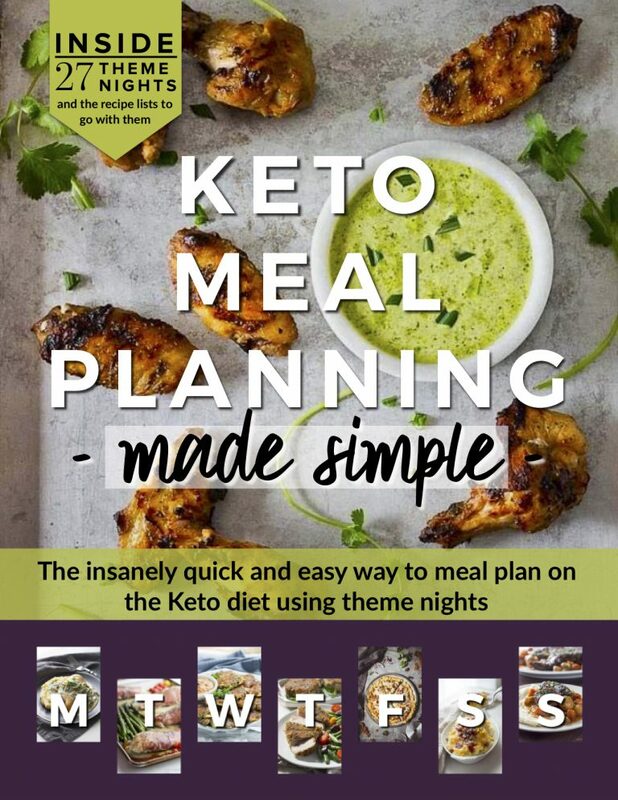 Serve with Mexican green beans and a cheesy cauliflower mash for the ultimate low carb Mexican food meal! 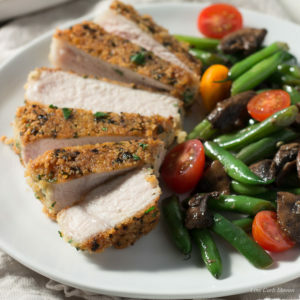 Remove pork chops from the refrigerator to come to room temperature for at least 20 minutes. Mix seasonings. Chop onions, mince garlic, and finely chop cilantro if using canned chiles or as an additional garnish. Crumble Cotija cheese if using. Rub about 1 1/2 tsp of oil over both surfaces of the pork chops and sprinkle sprinkle with seasoning. Rub the seasoning into the meat for good adhesion. Place a large pan over medium heat and allow it to get very hot. Add 1 1/2 tsp of oil, swirling to coat the pan. Put the pork chops in the pan being careful not to crowd them. Cook for 3 minutes. Flip. Cook for three minutes more and remove to a plate. Tent with a piece of foil to keep warm. Add the onion and garlic to the pan with 1 tbsp of oil. Saute until they begin to become transluscent, about 1 minute. If they aren't softening, add 1-2 tbsp water to help them along. Add the chicken base and stir into the onions and garlic. 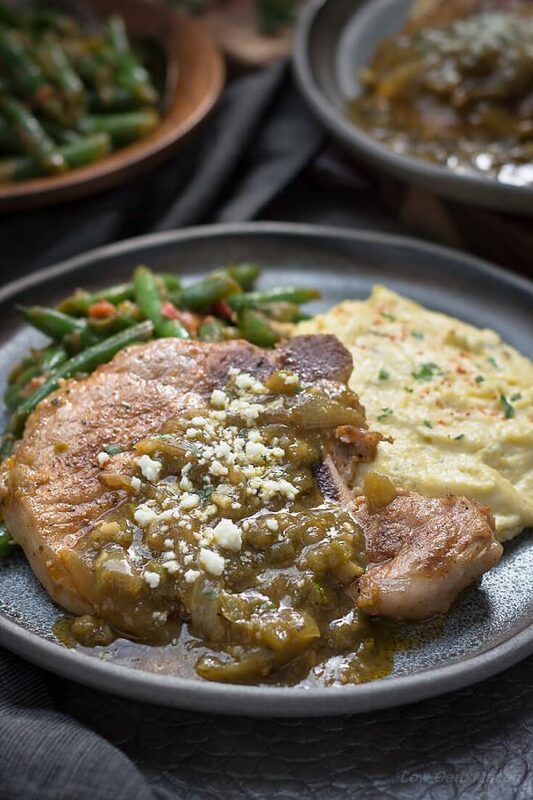 Place a pork chop on a serving plate and top with 1/4 of the chile verde sauce. Garnish with cilantro (or fresh oregano) and crumbled Cojita cheese. Serves 4. I made this and it is absolutely delicious! Saved the recipe and will use again, actually teach my hubby how to make. I made this for my GF. It was easy and tasted great. Thank you. Planned to grill pork chops and decided to merge the two and use your chile verde for a topping as I had the right ingredients. WOW. So good. Used feta for the cheese as I did not have the cotija. Was delicious. Great recipe Kim. Such a great looking dish! I know almost nothing about Mexican food, well except the obvious things like tortillas or burritos, there just isn’t anything related to Mexico around here, so sad! Should I try this recipe, I will have to make salsa verde myself I suppose, that is also something unavailable here. Oh, I am hungry!